If you’re creating your own website or having someone else doing it for you, this blog will provide a complete run through of what should be on your website. If you already have one, this will help to make sure your site is optimized for a positive user experience so fans, writers and bookers find what they need. Before you start diving right into it, take a step back to do some planning. Depending on the website platform you are using, you should have plenty of template or theme options to choose from that will help layout your site. Find a template that suits your current goals as an artist and the information you want to present. When choosing a template, also think about how you want to present yourself. Make sure the template you use communicates how you want to be perceived and is consistent with your brand. You might need to update your social media channels so that they have the same look and feel as your website. If your social media channels currently have the branding feel you want to communicate, model your website to continue that message so that your branding is consistent. Once your template is chosen, start to get all the web content together for the site by using the list below. Avoid putting too much content on the homepage. Studies have shown that too many choices or distractions can confuse people and turn them away. Narrow down your content by focusing on what the goal for the site is. Do you want to build social media followers, add to your email list, increase video views, sell albums or promote tour dates? If you are trying to accomplish multiple goals, prioritize them so that you can focus on your main objectives without cluttering your site. See what other artists you like or who perform similar music to you have on their websites. Look with a critical eye and observe web elements you think work well and notice if there are common trends in your genre. Now that you have a basic steps out of the way, read below for the complete list of elements that should be on your website. Provide links to the social media accounts that you have. Ideally, you want to focus on the main ones you and your fans use. You don’t need to list every single social media account you have if you aren’t updating them all. Chances are, the top ones to link out will be Instagram, Facebook, Twitter, Soundcloud, Youtube, Spotify and Bandcamp. Photography is one the main elements that makes your site look appealing and professional. Make sure you upload photos that aren’t grainy or blurry. This may mean having professional shots taken or designating a photographer at your next show to capture good photos. In terms of dimensions, it will vary depending on where the photos are used in the website; however, I usually recommend 1920 x 1080 resolution as a starting point. Enhance your site experience by giving visitors the option to listen to entire songs (not just snippets) directly on your website. New potential fans want to be able to hear your music to decide if they like what you offer without having dig around or even go to another website. Depending on the website platform, you can upload music natively or you can embed songs using Bandcamp or Soundcloud. I suggest not using Spotify only because an account is required to listen. However, you should have a link to your Spotify to build your followers up as it is the #1 streaming subscription platform right now. I have found that people prefer the functionality of being able to manually play your songs instead of music automatically playing when the site is loaded. Make it easy for visitors to watch your videos by embedding them in you site the same way as songs so visitors don’t have to leave your site to view them. Having videos from live performances is helpful for bookers who want to get an idea of how you are live and may lead to additional shows. Your bio and how you describe yourself are important so communicate what makes you unique, relatable and interesting. Aim for more in your bio than the standard information (where you grew up, who you are influenced by, etc). Challenge yourself to really dig deep into your brand and come up with a bio that makes you stand out. Start your bio with an attention grabbing statement or question to get the reader’s attention. Then move into unique information about yourself. Don’t feel that you have to focus on only the positive things about your life. Including the struggles and challenges you’ve had to overcome establishes respect with the reader and is more captivating to read. Place your long bio in the ‘About’ or ‘Bio’ pages. Once you have a long version of your bio, condense it so that you have a 3 – 4 sentence short bio that you can use on your homepage or on social media. The short bio should sum up your music and what your brand is about. Ideally, your short bio should be placed above the fold or closer to the top on your homepage. This helps people know quickly if you’re an artist they have any interest in. Your long and short bio can also include anything that adds credibility, like notable press or media coverage, higher profile acts you worked with and major accomplishments. But don’t saturate your bio with these items so that it reads like a resume. Instead, work on balancing the information in your bio. Lastly, be sure to add a sentence on what you are currently up to or working on. Your website will need some basic design elements like a logo, graphics and a consistent color scheme. Absence of these items makes the website look uninteresting and boring. At the same time, you don’t want to overdo it with too many colors and photos either. Your logo doesn’t need to be anything super fancy. For some artists, a text based graphic with a unique font can work. Some big name artists that use this approach include John Legend and Goapele. If you need a photo editor, try Pic Monkey. Your color scheme ties the branding of a site together. Some artists like to keep it simple and stick with black and white, but to make a lasting impression you will want to use a strong color scheme. Don’t just choose random colors you like; use the color scheme tools listed below to make sure there’s a good synergy between the colors, while keeping the text easy to read. If you need examples and inspiration for color schemes, visit Website Color Schemes: The Palettes of 50 Visually Impactful Websites to Inspire You. This is an obvious but highly important page to have on your site, because you want to make it as easy as possible for people to reach you. Including a web form on your contact page will make it convenient for visitors to send you a message without having to send an email. Don’t forget to list any contact email address on this page as well for people who may prefer to reach you that way. If you’re more established and have different people managing different functions, be sure to list all their emails and when they should be contacted (booking, management, etc). 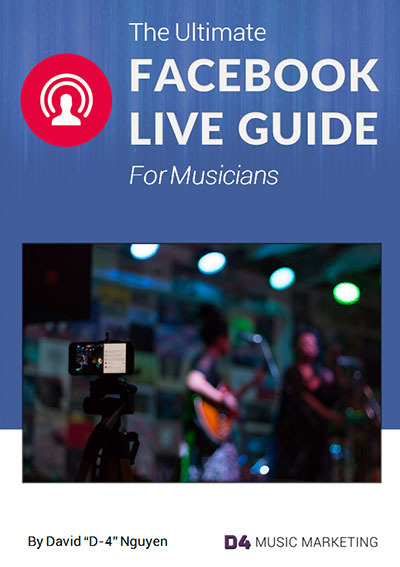 For most independent artists, live shows and performances are the main source of income, so you need to make sure this information is easily accessible and updated. If you use services like Bandsintown, you can embed your tour dates directly on your website. You can manage your shows on the Bandsintown platform, and it will automatically update across your website and social media accounts. One of the most valuable assets a musician has is a mailing list of their fans. These can be most easily collected online, since you don’t need to enter them in manually and risk typos or having to decipher handwriting. Make sure you have an opt-in form somewhere on the site so visitors can leave their email address, usually in exchange for something like free music. Learn more about how to collect fans’ email addresses. Using a free tool, like Google Analytics, is extremely valuable for musicians and relatively easy to install. If you don’t want to use Google Analytics, there are other web analytics available to collect data about your web traffic. What channels are people coming from? Are sites referring a lot of traffic to your website? Are your visitors having a good experience on your website? How much revenue is your website generating through leads? What channels or referring sites are giving you the most leads? Is your website causing issues for mobile or tablet users? You have the option to have an online merch store on your website as long as your platform has the functionality for people to place orders and pay online. Paypal makes this process easier, and is the most common method of payment for DIY sites like Etsy. For WordPress websites, WooCommerce is a popular plugin option to create an online store. If you don’t want to build this functionality into your site, you can sell your merch and music using a third party. For this option, you would provide links to other sites where fans can buy or stream your music. You can successfully market to your fans if you know what sites and platforms your audience uses the most and place your music and merch for sale there. For selling digital downloads, try Bandcamp. To use their service, they take a cut of your sales, 15% for digital and 10% for merch. For merch, try Big Cartel. It’s a free service for up to 5 items. Keep your site up to date. 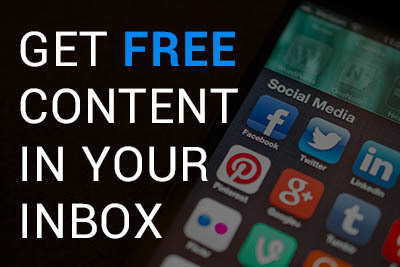 Keep content and contact info current. You could even change your site layout with new pictures or colors to match branding updates and new album releases. Include a page for press or an easy to find Electronic Press Kit (EPK).. Your fans are not the only ones visiting your site. Make it easier for bookers, promoters and writers find all the relevant information and assets they need in one central location. At a minimum, you should include a bio (short and long), embedded music player, videos, hi-res photos and contact information. Create a ‘News’ section. This will give fans a central location to visit to receive updates. It also increases the probability that they will return to your site to find out what’s new. If you add a ‘News’ section, make sure you commit to making updates consistently. If this is too much of a time commitment, use your social media to inform fans of new happenings. Make sure your site is mobile optimized. More people use the internet on their mobile devices than they do on a desktop or laptop now. In this mobile dominated world, people expect to have the same experience whether they are on a PC, Mac, desktop, laptop, phone, or tablet. Ensure navigation is intuitive and straightforward. Don’t get overly creative with page names, so that it becomes ambiguous and confusing. Most sites will have the following: Home, Bio, Music, Video, Contact, Shop. Feel free to jazz up standard pages so that it reflects your personality, but also remember who you are trying to attract to this site. Don’t use popups to collect emails. Google may rank your site lower in the search results if you use popups for mobile devices. Popups are also annoying to many people and may turn them off of your site, so stick with the mail opt in form to avoid these consequences. Putting together a website can be complicated endeavor, and a lot goes into ensuring the site looks good, is easy for visitors to navigate and provides meaningful content. By employing the elements discussed in this blog, you will have an effective marketing tool to help further your music career and cultivate long lasting relationships with your fans.